2019 年 1 月 22 日，“雅思合作伙伴颁奖典礼暨雅思 30 周年启动庆典”在北京隆重举行!新航道国际教育集团董事长兼 CEO 胡敏教授作为特邀嘉宾发表主题致辞，并作为雅思考试30周年见证代表与雅思官方东亚及中国区负责人一起共同开启 30 周年庆典仪式! 胡敏教授与雅思官方共同开启雅思 30 周年亮灯仪式所谓无巧不成书，雅思考试的 30 年，也正是新航道的 15 周年，2004 年胡敏教授带领“雅思梦之队”开始创建新航道。在海淀区知春路的一个两室一厅的一个公寓里面，不足180 平米的一个房间里面，开始创业。那么这么多年过去了，如今新航道在全球 46 个城市，拥有学校，在墨尔本拥有分校;每年培训学生逾 10 万人次。在此次 2019 年颁奖典礼上，新航道凭借超强实力及对雅思的突出贡献蝉联雅思考试官方“集团贡献奖”，新航道下属 8 所分校分别荣获“白金级合作伙伴(6 所获奖白金级机构中，新航道独揽 3 个)、金级合作伙伴“奖项! 第三个维度是 the ability to engage in open, appropriate and effective interactions across cultures，最后一个维度是 the capacity to take action for collective wellbeing and sustainable growth。这四个维度里面，都包含了其中的一条主线，就是整个英语的沟通能力。30 年，众多中国学子通过雅思考试进入名校、走向世界，雅思考试确实获得越来越多的教育机构、中等教育机构、企事业单位、国内的国外的普遍的认可。而从 2004 年到 2018年，在新航道的 14 年进程中，作为培训机构，新航道成功地帮助了数十万人，实现了他们的名校的梦想。进如牛津、剑桥这一些著名的学府。新航道只是许许多多在中国成功的“雅思故事”之一，未来新航道将继续一如既往与雅思官方一起见证更多中国学生国际化之路! 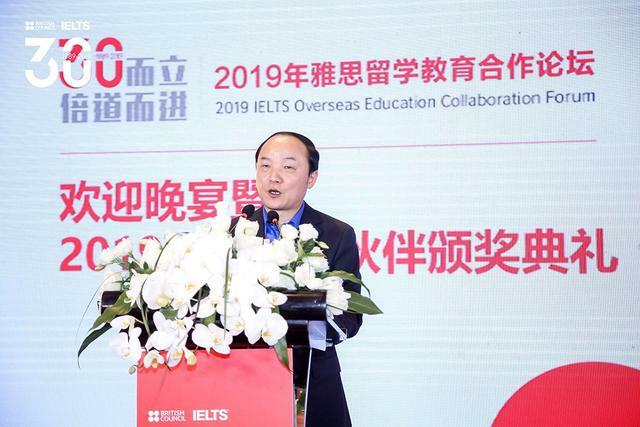 It is my great honor to be invited to give a speech at 2019 IELTS Overseas Education Collaboration Forum to witness its glorious past 30 years.My first encounter with IELTS goes back to 1999, that is exactly 20 years ago. saying that IELTS shall one day arise and shine in the kingdom of English language testing. In my view IELTS could become a passport to immigration; a new way to study abroad; a golden key to a future career and a new place for English learning. schools and academic events and study overseas.Here I would like to share with you the IELTS story of my company, the New Channel International Education Group Limited ( New Channel). In 2004 New Channel was founded. It now has 46 schools, more than 300 learning centers around the globe. IELTS book publishing has been a booming business sector of my company.Major British publishers like Macmillan, Cambridge University Press as well as Harper Collins are collaborators of New Channel. 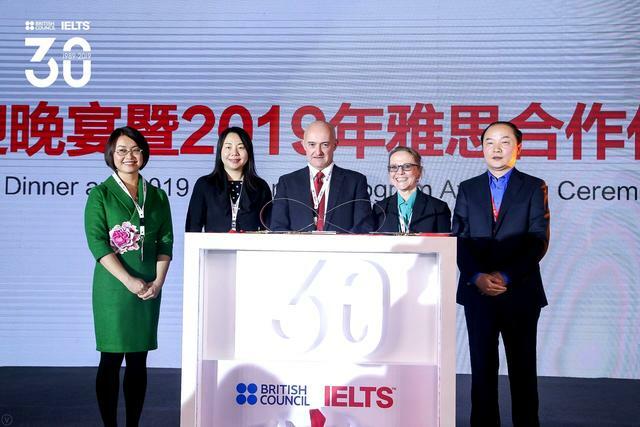 In fact, in collaboration with Harper Collins, one of the largest English language education publishers in the world, we jointly published 7Th Generation of IELTS textbooks.China IELTS Festival is an annual IELTS academic event launched by New Channel.Up to now, it has been continuing for 12 years. Above a million learners benefited from nearly a thousand events held in more than 40 cities and over 100 universities. During the 14 years from 2004 to 2018, New Channel had exerted every effort to help hundreds of thousands of learners realize their dream to enter prestigious universities like Cambridge and Oxford and become the Chinese youth with global competence. They contribute to the community of shared future for mankind like the shining stars on the world stage.New Channel's success is just one of many true IELTS stories in China and around the globe. Today IELTS scores are accepted by the higher education institutions in many parts of the world. As a matter of fact, the IELTS test has become the most popular test in the whole world. All these truly remarkable achievements made by IELTS only prove what I predicted about it 20 years ago has become a reality!It goes without saying that those past glories of IELTS shall always remain fresh! However, one cannot dwell upon it, for we are now in a new era of globalization.The world demands skillful and multifaceted talent of great minds. It resembles a pyramid of three different levels. The bottom level concerns the test-oriented language learning; the middle level involves the acquisition of four basic language skills of listening , speaking, reading and writing, and the top of the pyramid is global competence. The global competence includes the following four dimensions. The first dimension is the capacity to examine local, global and intercultural issues; the second dimension is the capacity to understand and appreciate different perspectives and world views; the third is the ability to engage in open, appropriate and effective interactions across cultures, and the fourth is the ability to take action for collective well-being and sustainable development.It is clear that the IELTS test itself cannot get you to the top of the pyramid,but the reliable and valid assessment it provides surely smooths the way to it.Look ahead, IELTS holds a promising future. We shall continue to collaborate with the British Council Testing Services so as to create more opportunities to help learners to become globally competent English language communicators.